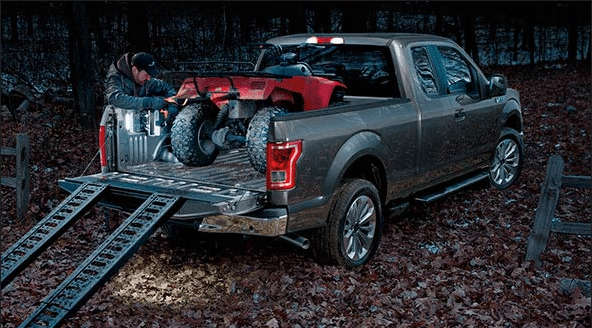 For work or for play, the 2016 Ford F-150 XL offers unique capability, versatility and style. Choose either the Regular Cab or Super Cab to give you more space with two or four doors. Options continue with the box in your choice of 6-1/2’ or 8’. Create a truck that fulfills your dreams and meets your needs. An aggressive look comes from the forward-leaning stance of the 2016 Ford F-150 XL and the black three-bar style grille with black nostrils. Customize your truck with your choice of either body-coloured or chrome bumpers. Halogen headlamps brighten your way while manual folding mirrors come with the option to be heated and include turn signals and LED security approach lamps. You can even add telescoping trailer tow mirrors to improve visibility when you’re towing a load. See what you’re doing after dark with cargo lamps while an optional BoxLink and box side steps enhances the capability of the truck. Protect your vehicle with a spray-in bedliner and skid plates. A power locking tailgate is another option you’ll appreciate while stowable loading ramps make loading and unloading easier. Climb into the box with no problem thanks to an available tailgate step with lift assist. 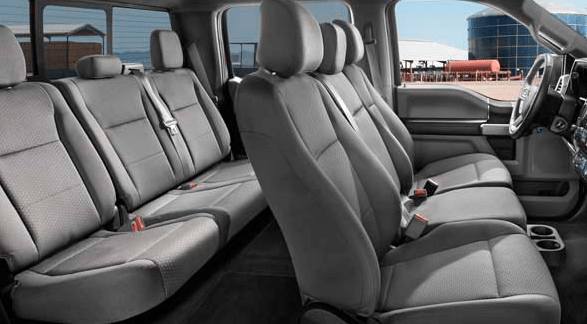 Cloth or vinyl seats provide a practical touch to the 2016 Ford F-150 XL. Black vinyl floors and optional all-weather rubber floor mats protect your cab. A rear bench seat flips up for more cargo space. Stay cool in the summer with air conditioning. Keep track of your vehicle’s performance with the 2.3” productivity screen or upgrade to the 4.2” version for easier reading. Add on SYNC with AppLink for information and entertainment, and expand your options with SiriusXM satellite radio. With the right accessories, there’s no reason your 2016 Ford F-150 XL has to look like every other truck on the road. Choose an exterior trim kit or tailgate late trim that makes your model stand out. Trim along the B-pillars and other trim kits provide a distinct look. Protect your truck with covers and other protection accessories to keep it looking like new. Protection continues inside with seat covers, floor mats and door sill plates. Get organized with organization accessories. Everything you need to make the truck fit your life comes from genuine Ford accessories, which are designed to work with your model. Customize your powerhouse truck with the choice between four engines. While the 3.5L Ti-VCT V6 engine comes standard on the 2016 Ford F-150 XL, you can also choose between a V8 and two EcoBoost engines. Select either 4x2 or 4x4 power to go where you need to go. Advanced systems enhance the capability of this truck with features such as AdvanceTrac with Roll Stability Control and an electronic locking rear differential. Adjust settings for a heavy load with the electronic six-speed automatic transmission which features tow/haul and sport mode. A fully-boxed steel frame provides the durability and strength you need. At the same time, front coil springs and rear leaf springs offer a smoother ride. 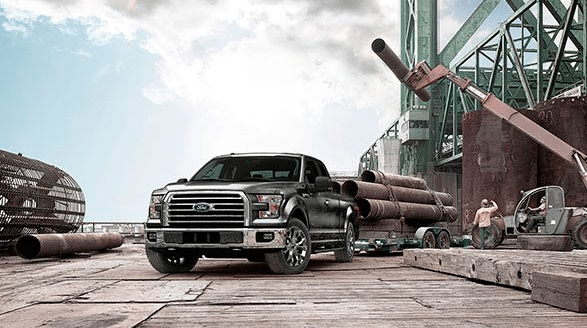 Incredible value makes the 2016 Ford F-150 XL an outstanding choice among pickup trucks. Supreme confidence comes your way in the 2016 Ford F-150 XL with modern safety features to keep you on the road. Enjoy added confidence every time you travel in the 2016 Ford F-150 XL, knowing you are backed by Ford’s unbeatable warranty. Experience versatility, capability and reliability at its finest in the 2016 Ford F-150 XL. Whatever demands life makes of you, this truck is always prepared to take on the challenge. 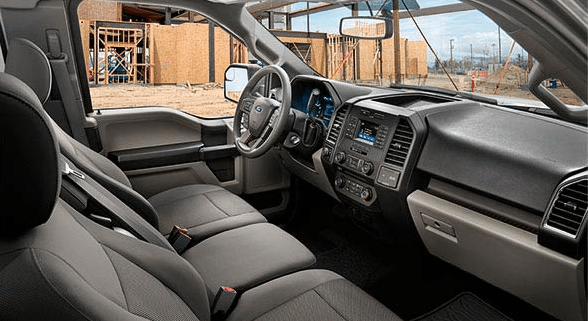 When you’re ready to relax, the F-150 lets you unwind in style. Learn more about the 2016 Ford F-150 XL and all it has to offer at your local Vernon Ford Dealer – Watkin Motors Ford. Check out all of our new and pre-owned Ford models, whether you’re in the market for a truck or shopping for a sedan or SUV. Watkin Motors Ford is the premiere dealer for Okanagan Valley residents looking for an outstanding deal on a fabulous Ford.